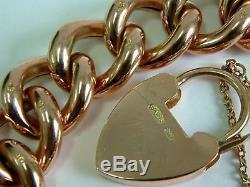 The bracelet is real 9ct gold. 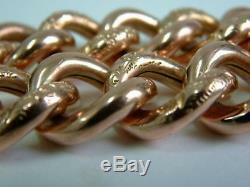 It is stamped'9c' on every link of the bracelet for 9ct gold (slightly erased but still legible). 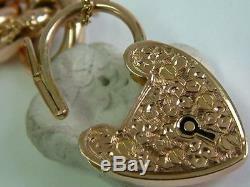 The padlock is also marked'9ct' for 9ct gold. 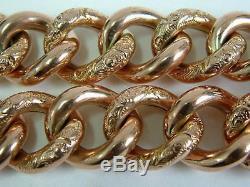 The bracelet would have been made around the 1890 to 1900 Victorian period. 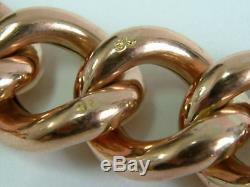 A lovely hollow traced curb bracelet in a gorgeous rose gold colour - the links are chunky and semi-solid/semi hollow but still quite weighty and substantial. 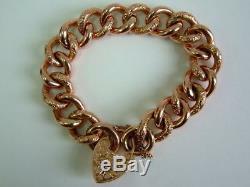 The bracelet is in very good condition for its age, there are no major dents or knocks, there seems to be one small solder repair on one of the end jump rings but it is barely noticeable. 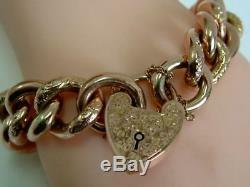 The bracelet supports a secure large padlock fastener and safety chain. 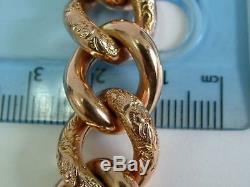 13mm - width of bracelet links, 3mm depth of links. 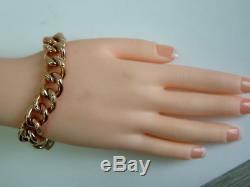 Bracelet length 7.5 inches and approx 7.75 inches with padlock space. 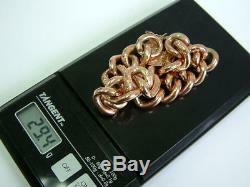 It weighs approximately 29.4 grams, nearly one full ounce. 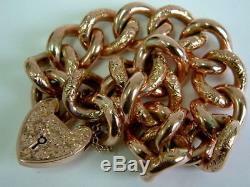 The item "CHUNKY 9CT ROSE GOLD ANTIQUE TRACED CURB BRACELET WITH PADLOCK ONE OUNCE" is in sale since Tuesday, February 13, 2018. 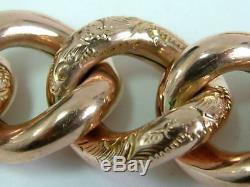 This item is in the category "Jewellery & Watches\Vintage & Antique Jewellery\Vintage Fine Jewellery\Edwardian (1901-1910)". The seller is "skdiscovery" and is located in Preston. This item can be shipped worldwide.